One of the reasons I write a blog is to tell stories. Because telling stories is important. Because we all have stories. Because I want my kids to know their stories. Because I want to remember their stories--I want to remember how I felt when the kids were little, I want to remember when Wade couldn't say all his words and he said "backbard" instead of back yard, I want to remember the kitchen dances and even the tween eye rolls. It's our story. Since I started this blog, I've had the privilege to help tell other people's stories. This past weekend, I was part of an event full of amazing people. It was a night full of love stories. This event was for an organization called Charlotte's Wings. The story behind this organization is a story of loss, a story of grief, a story of friendship,and hope and compassion and love. My friend Jo, lost her daughter to a rare genetic disease. Her friends rallied around and supported Jo and her family. In the midst of their grief, Jo and her husband donated books to an area hospital in honor of Charlotte. Inspired by their generosity and compassion for other families in hospitals or hospice that needed comfort and distraction, those friends rallied again, and together they all started a nonprofit--Charlotte's Wings. Today, they have donated over 20,000 books to Michigan hospitals and hospices. 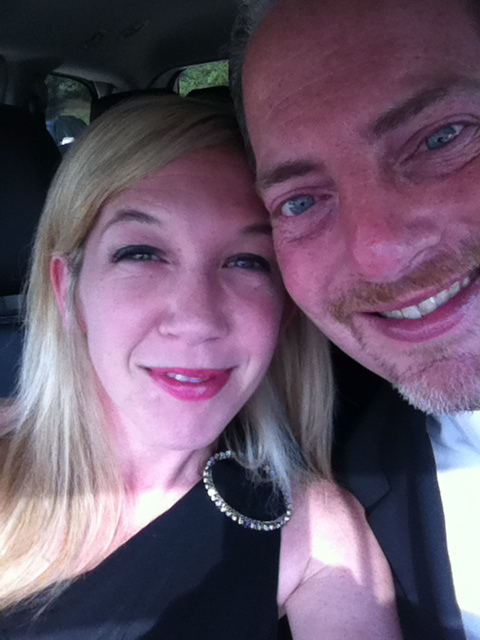 For the past six years, my husband and I have gotten dressed up and gone to the benefit. (Click here to read about last year's Charlotte's Wings benefit.) It's for friends, it's to help, it's at a fancy hotel, it's all good. Part of the story of the night was in deed the fact that it was a date night for us. Tim and I were posting Instagrams of ourselves all dressed up and I was ordering pre-event cocktails in the hotel bar. We were laughing and enjoying being grown-ups. "I got a room for you," he said and I nearly spit out my drink. "What are you talking about?," I asked. "You need time to yourself," he said as he took my hand in his. "You always say how nice it would be to get away, so do it. I'll go home when the dancing starts and take care of the kids, you stay, dance and then get a good night's sleep." "Um, no way, I can't, but, what about? how? isn't it too much? it feels wrong. are you sure? oh, wait. can I? oh man, I'm ordering another drink," I said all at once feeling so loved and in love. We walked hand in hand to the ballroom to our table. I was full of giddy excitement about drinking and dancing with my buddy Steph, and then sleeping in a king size bed alone. He was full of giddy excitement that he got out of being bored while I danced for three hours straight. It was working out so well for both of us. Part of the story of the night was about a video. A video I made to help tell the story of the impact of Charlotte's Wings. A couple months ago, I visited a children's hospital and met the sick kids and the parents who were using the books Charlotte's Wings donated. I heard stories of their heart-aching, unwavering, superpower love and unimaginable strength. The video was a love letter to my inspiring friends at Charlotte's Wings and to those parents that I met at the hospital. As the video started, Tim once again reached over and grabbed my hand. He knew the weight of responsibility I felt to tell this love story the right way. "People will feel it honey," he whispered. "They'll get it," he added and squeezed my hand tightly. Charlottes Wings 2013 from Jumping With My Fingers Crossed on Vimeo. I held my breath while over 600 people in the room watched. Some people cried. Some people hopefully spent more at the silent auction. Some people got it, I hope. Because we all have a story. We all have a love story to tell. The love story of a husband's thoughtful surprise. The love story of old pals dancing away their worries in a hotel ballroom. The love story of friends supporting each other, lifting each other out of sorrow and grief. The love story of strangers donating money to a charity. The love story of parents reading books to their sick children in the hospital. It's holding hands tightly, it's smiling through the tears, it's finding the joy and the beauty. It's appreciating the good in our lives and the incredibly tough times we get through, it's about the stories we will remember. Oh my heart. Those kids, your husband, YOUR heart. I have no words.